No one is safe! The common cold can be lurking on any surface; incubating in any person; waiting to strike. A notorious opportunist, the common cold will jump from one person to the next, expelled via sneeze, finding its way into a new vessel through the nose, eyes, or mouth. The symptoms may start off small: a slight scratchy throat or an irritated nose. Give it time, a couple more hours, and the cold virus has completely taken its host’s body over, throwing a full-blown germ party. A person hijacked by the cold virus may experience sneezing, sore throat, cough, headache, postnasal drip, and achy muscles. Fortunately, if you are not interested in hosting cold virus germs and all its nasty guests, with the use of essential oils, you can either cut the party short or prevent it all together. For centuries, essential oils have been used to cure various ailments. Extracted from the roots, leaves, or blossoms of plants, essential oils can be inhaled or applied topically to boost your immune system and fight off infection. Once the cooler weather descends and you are trapped indoors with the windows shut, you’re exposure to fresh air is limited, making you more vulnerable to the cold virus. Most essential oils are antiseptic and kill bacteria, and some oils are anti-fungal and kill viruses, so it is beneficial to keep these oils in the home to arm yourself and your family. You can include some essential oils in your house-cleaning regimen such as pine, lemon, cinnamon, clove, eucalyptus, lavender, and thyme. These essential oils will remove viruses from the surfaces of your home while boosting your immune system. Or you can simply diffuse them, purifying the air. 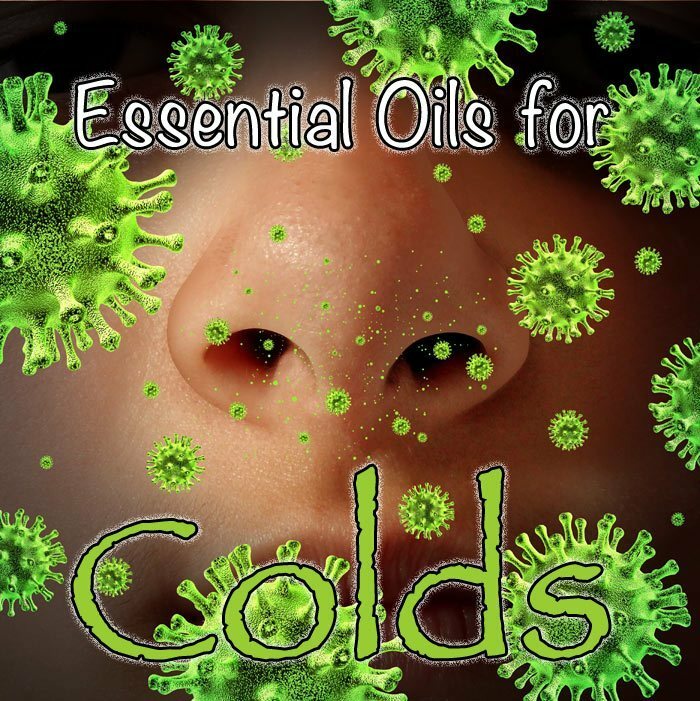 If you find that you are already gripped in the clutches of a terrible cold, there are many essential oils you can use to alleviate the symptoms, boost your immune system, and kill bacteria to speed up the recovery process. Eucalyptus essential oil is an antiviral that helps soothe a sore throat and a decongestant that can help loosen up the mucus. Use eucalyptus essential oil in a steam inhaler to open up a blocked nasal passage, fight bacteria, and soothe inflammation. If you are experiencing the aches and pains that often accompany a cold, add a few drops into your bath and soak for fifteen minutes to soothe your muscles. Thieves is a blend of the essential oils clove, lemon, cinnamon bark, eucalyptus, and rosemary. Thieves is used as an antibacterial, antiseptic, and antiviral. Use it in a diffuser to purify the air in your home or in a throat spray to remedy a sore throat. Inhale frankincense essential oil to protect yourself against colds and to lend yourself respiratory support. By inhaling this antimicrobial oil, you can also address problems with your ear, nose, and throat. This soothing essential oil is gentle enough to use on children and is great for its antimicrobial and antiseptic properties. Diffuse in the air or add to the bath for a soothing, microbe-killing treat. This sunny-smelling essential oil is packed with vitamins which helps boosts the body’s immune system, promotes the production of white blood cells, and improves circulation. With all these benefits combined, your body has a much greater chance of fighting off illness. Peppermint essential oil is an anti-septic and anti-viral that helps drain mucus and relieve cough. This essential oil is great to use in a steam inhaler but not suitable for use around babies and small children. Due to the presence of menthol in the oil, which can cause sensitization in some people, it is recommended to use it in moderation. Pine essential oil is great for treating a sore throat and clearing the nasal passage. This antiseptic essential oil kills bacteria and helps drain mucus. 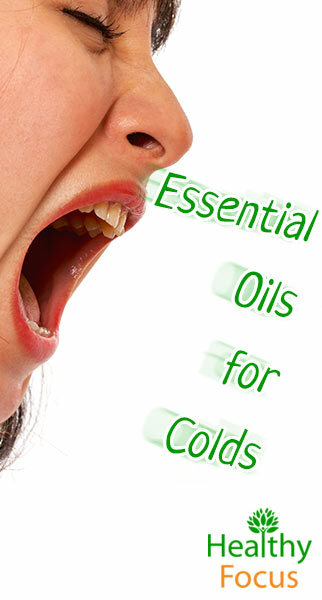 Ravensara is an essential oil that naturally fights infections and contains antiviral properties. To sweeten the severe medicinal smell, blend with lemon or eucalyptus for an added antiseptic benefit. To relieve congestion, use this antiseptic and antimicrobial essential oil. Rosemary is not suitable for people who suffer from epilepsy, and high blood pressure, or for women who are pregnant. Tea tree oil seems to have it all: antibacterial, antimicrobial, antiseptic, and antiviral properties. This essential oil relieves congestion and drains mucus. This essential oil works great in a steam inhaler or can be added in a bath to relieve sore and achy muscles. Thyme is an antibacterial and an antiseptic that works to relieve congestion. It is recommended that you bled this essential oil with essential oils tea tree, lemon, and eucalyptus in a bath or an inhaler to get maximum decongestant effects. Thyme essential oil is not recommended for people who have high blood pressure. Deposit one or two drops in your hands and cup over your nose. Take 4 to 6 deep, slow breaths to fully enjoy the benefits of the aroma and to experience the healing properties. 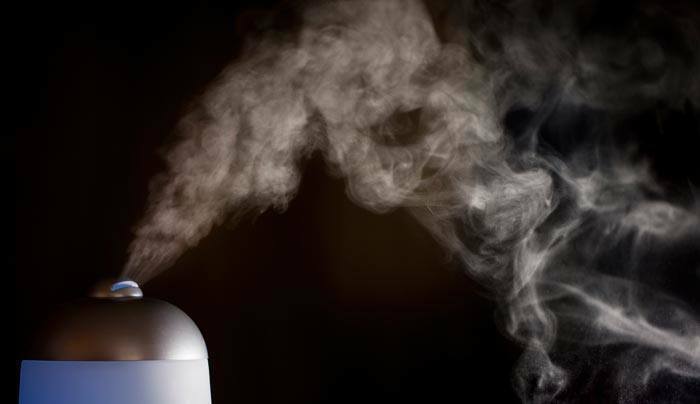 You can diffuse essential oils in the air to purify your home, prevent sickness, and relieve cold symptoms. By inhaling some of these oils, you can clear your nasal passages, and kill any germs that may be lurking in your sinuses. To diffuse essential oils, place 5-8 drops in a diffuser or an aroma lamp. Add 5-10 drops of essential oil to a hot bath and soak for 15 minutes. If your skin is sensitive, add one tablespoon of carrier oil, such as coconut oil. A bath with essential oils with calm your nerves and soothe achy muscles. 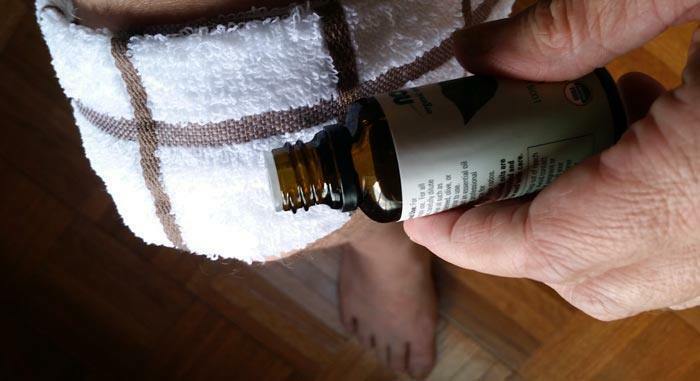 Blend 2-3 drops of essential oil in 1 teaspoon of a carrier oil and gently massage the mixture over achy areas. To relieve congestion in the chest, mix 2-3 drops of essential oil with 1 teaspoon of a carrier oil. Gently massage your chest with the mixture and then cover with a blanket. Add a couple drops to a washcloth soaked in cool water and apply to the forehead. One annoying and often painful side effect of colds is coughing. Coughing not only makes your chest and throat feel worse, it also expels nasty germs, infecting the surfaces and people around you. Fortunately, there are some of essential oils and natural remedies to help eliminate this problem and help you get on your way to the road of recovery. Honey is one of the most effective natural cures one can use to treat their cough and sore throat. Honey helps to break up chest congestion and thin out mucus. This sweet treat is also rich in antibacterial and antiviral properties, making it especially useful in fighting infection. Either take a teaspoon of raw honey by itself or add it to a glass of warm water to alleviate chest congestion. Raw honey is also a great healing way to sweeten up a cup of tea. Thyme not only heals mild respiratory issues and bronchitis, but it also helps to alleviate cough as well. Thyme leaves contain flavonoids, which help relax the throat muscles responsible for coughing. This soothing herb also helps reduce painful inflammation of the throat. To use thyme to treat your chest cold and cough, make a healing thyme tea. Add two teaspoons of crushed thyme leaves to a cup of boiling water. Let the leaves steep for ten minutes and then strain. Enjoy a cup of thyme tea anytime your chest hurts or your cough starts to get out of hand. Licorice is considered an expectorant, meaning, it helps alleviate chest congestion. Licorice root is also great for reducing throat inflammation. Those with high blood pressure should avoid this remedy. To experience the healing effects of licorice root, make it into a tea. Add a half teaspoon of licorice root to a cup of hot water and let steep for ten minutes and then strain. For an added sweet health bonus, add a bit of honey. Drink this tea up to three times a day to soothe your throat and chest. If you’re suffering from a cold and want to nix your cough the most natural way possible, consider making your own cough syrup. This recipe helps alleviate your cold symptoms while lending support to your immune system. Honey soothes an achy throat while killing off bacteria. Ginger root is a great anti-inflammatory and considered an expectorant. Chamomile relaxes the throat muscles and helps eliminate the tickle in your throat responsible for cough. Marshmallow root coats the throat and thins out the mucus. Cinnamon not only improves the taste of the syrup, but also helps boost the immune system while its fighting infection. All of these ingredients combined make a great healing cough syrup. This cough syrup is not recommended for children under the age of one. Pour 2 cups of filtered water into a pot. Add 2 tablespoons of chamomile flowers, ginger root, marshmallow root, and 1/2 tablespoon of cinnamon to the water and bring to a boil. Once the water reaches its boiling point, reduce heat and cook gently. Let the water simmer until the amount of liquid has been reduced to half. Keep in mind that the recipe requires one cup of water once you have strained the herbs. Once the volume of liquid has been reduced, strain the herbs from the water. This can be achieved with a cheese cloth or a fine strainer. Add 1/2 cup of honey and 2 tablespoons of lemon juice to the liquid and stir. Pour the liquid into an air tight container. This natural cough syrup can be stored in your refrigerator for about two months. When buying essential oils, it is important to buy 100% pure organic, therapeutic grade oils. Many companies that sell discount oils dilute their oils with synthetic substances in order to cut cost. This not only decrease the quality and benefits of the oil, but can also be harmful. Before using essential oils, speak to an experience aromatherapist who can assist you in choosing the right oils. ​When trying an oil for the first time, dilute the essential oil with a carrier oil before applying to the skin and watch for any allergic actions you may have to the oil. ​Essential oils are not meant to be a substitute for proven methods of fighting off colds, such as a healthy diet, taking vitamins, getting enough sleep and fluids. Essential oils are a great supplement to living a healthy lifestyle. If the symptoms of your cold don’t improve within 7 days, speak with your health care provider. Women who are pregnant should avoid rosemary and peppermint essential oils. People who suffer from asthma or other respiratory conditions should avoid inhaling essential oils.